This text offers a novel contribution to the literature on core criminological theory by introducing the complex issues relating to the structuring and analysing of causation. 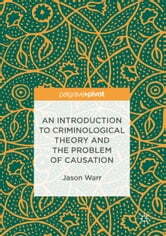 This text traces the paradigm shift, or drift, that has occurred in the history of criminology and shows how the problem of causation has been a leading factor in these theoretical developments. This short book is the first of its kind and is an introductory text designed to introduce both seasoned criminologists as well as students of criminology to the interesting intersections between the fields of criminology and the philosophy of the social sciences. The problem of causation is notoriously difficult and has plagued philosophers and scientists for centuries. 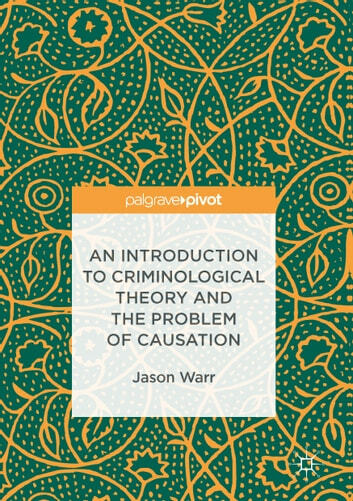 Warr highlights the importance of grappling with this problem and demonstrates how it can lead to unsuccessful theorising and can prevent students from fully appreciating the development of thinking in criminology. This accessible account will prove to be a must-read for scholars of criminal justice, penology and philosophy of social science.